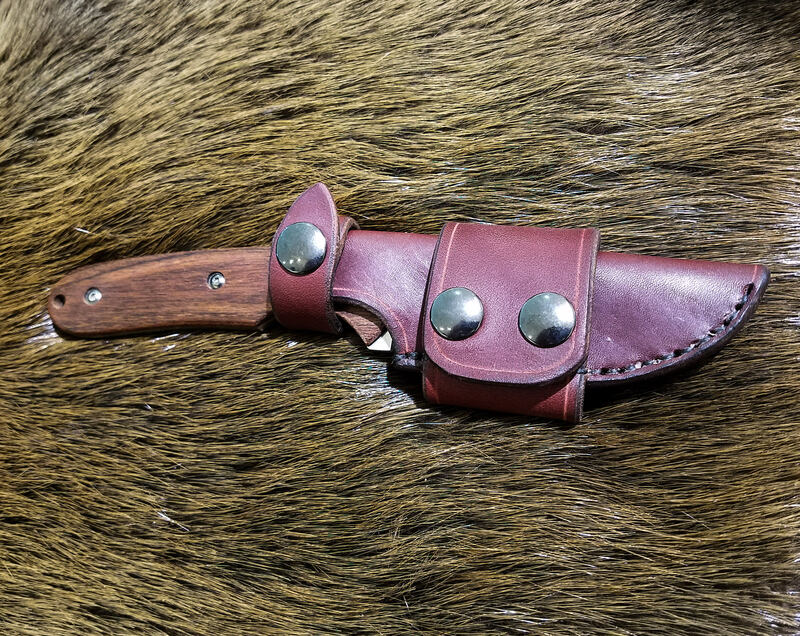 This sheath is an improvement over the vertical leather sheath that comes stock from Benchmade. 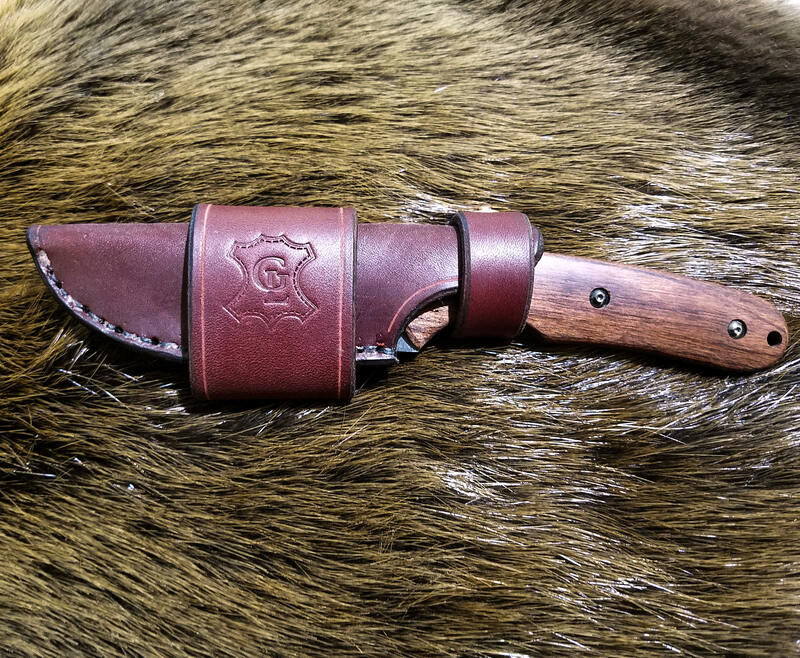 It is hand-stitched out of 8-10 ounce latigo cowhide, (or 8-10 ounce vegetable tanned cowhide if the "natural" color is chosen) and features a Snap closure belt loop, to carry the knife horizontally and snap closure that loops over the guard to secure the knife in the sheath. 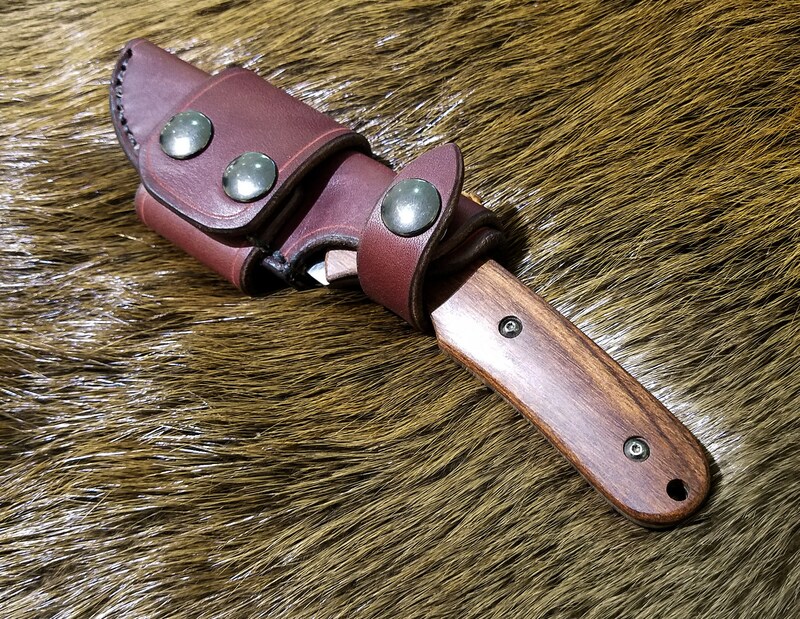 We now offer the sheath with a solid 2" wide loop, which allows the knife to be carried on the Right or Left side, but does not unsnap, so must be threaded onto your belt. Beautiful craftsmanship and a perfect fit. Super happy with this purchase!